Turkish Airlines opened its new independent office in Abu Dhabi folowing increasing demand from the UAE capital, with nearly 4 per cent growth in passenger traffic reported in 2014. This further builds on the momentum that Turkish Airlines is recording across its Middle East network, as well as other global destinations. 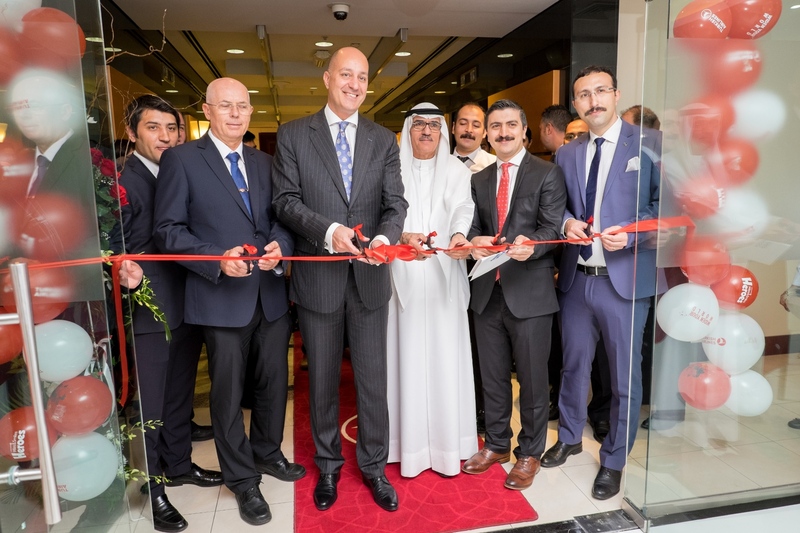 The new sales office, located on the 4th Floor of Abu Dhabi Trade Center, Abu Dhabi Mall, East Tower, was recently officially opened in the presence of HE Mustafa Levent Bilgen, Ambassador of Turkey to the UAE and other diplomats, key travel partners, members of Turkish Airlines Corporate Club and senior representatives of the airline, who provided an overview of the airline’s recent growth and planned expansion. The highlight of the 400 sq. m. office is that it has a special Majlis area where customer service representatives can host Abu Dhabi based customers in privacy to cater to their travel needs. This is the first such initiative by Turkish Airlines in the region. Abu Dhabi is increasingly becoming an important destination for Turkish Airlines, which now operates four weekly flights from the Emirate with the Airbus 330 aircraft, connecting travellers to 274 cities globally, across 110 countries. This is the largest country network for any airline globally. Total passengers carried from the Abu Dhabi market in 2014 increased by 3.9 percent compared to 2013. Business and Comfort Class passengers increased by 13.1 percent for the same period, while international-to-international transfer passengers increased by 17.4 percent. Turkish Cargo in the UAE capital also increased by 10.8 percent. From January to March 2015 Turkish Airlines passenger traffic in the UAE, Qatar, and Kuwait increased by 6.44 percent and revenue per passenger kilometre (RPK) increased by 6.7 percent. For the fourth year in a row, the airline has won the Best Airline in Europe from the Skytrax World Airline Awards.